Blacklist Clearance: Letter from Immigration legit? I wanna know if this letter provided by the Immigration Malaysia after clearing blacklist in the system is legit. What do you mean by clearing "Blacklist"? Nothing is mentioned about clearing blacklist. State your case properly, we are not here to make guess work on this letter. There are conditions affecting with travels with this letter. You are traveling in or out of Malaysia now. 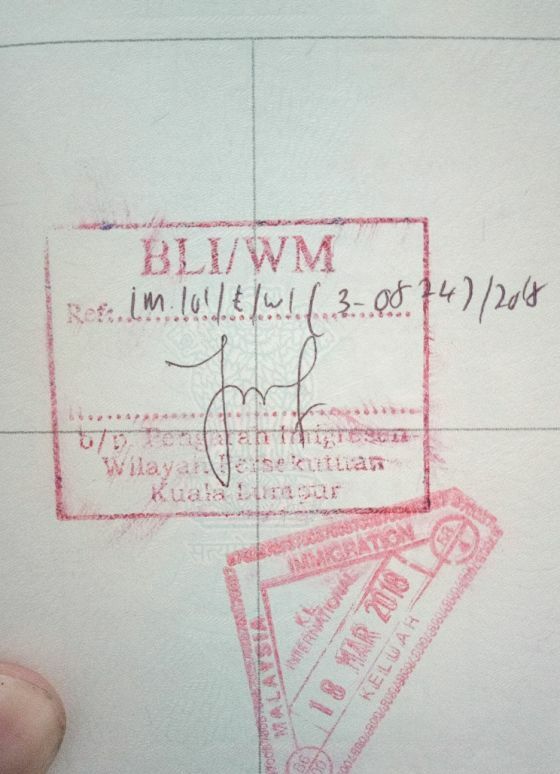 I overstayed in Malaysia 3 months ago, paid compound but I got blacklisted, and when I checked with the Embassy in my country, they asked me to call Security Department in Putrajaya to clear blacklist in order to get a visa. And the letter above I attached, I got it from an agent claiming that it's a proof of blacklist clearance. So I just want to enquire the legitimacy of the letter. How much compound you paid? How long you have overstay? How long was the period stated in the passport? Post a copy of the exit stamp in your passport here for better understanding. I want to see what section of the Immigration Act you were charged of. 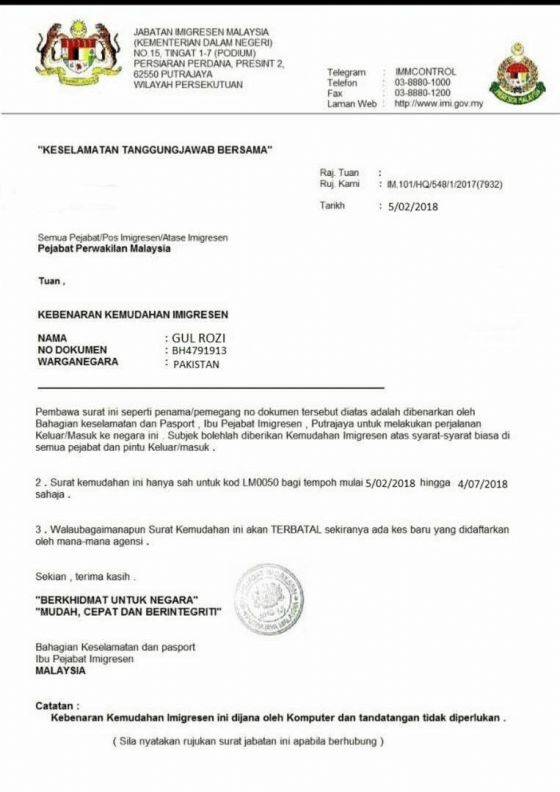 Do take note that if this letter is a fake, you can be jailed for not less than 5 years plus a fine of not less than RM50,000 for FORGERY of Government Documents under Immigration Laws and the Penal Code. My overstay was one and half years, paid compound of RM 2,200 at Jalan Duta Immigration. I don't know my ban period as it's like a stamp and I don't really understand it. But am posting a picture of it for your better understanding. The letter I uploaded is just for reference. Once I get mine I will go to the Embassy for further verification and only visit Malaysia with proper visa. Kebenaran Kemudahan Imigresen means they allow you to stay in Malaysia for the period stated. But yea, the letter posted above is fake. It should have some signatures. Also, mostly they will attach another letter with this Surat Kemudahan. Shouldn't get this through agent because this letter will be released to the name stated or your wife. And you should have strong reason to apply for this, etc. court case. That is 100% not clearance letter for blacklist. My husband is now in Pakistan and the Malaysia Embassy wants a clearance letter so I don't know how proceed. Please let me know how to do this for my husband. I'm red identity card holder.